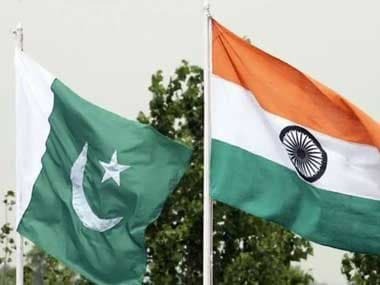 United Nations: Pakistan on Sunday accused India of adopting a posture of that of a "predator" and said if the international community wishes to avoid a dangerous escalation between the two neighbours, it must call on New Delhi to halt its provocations and aggressive actions. Terming India as the "mother of terrorism" in South Asia, Pakistan's ambassador to the UN Maleeha Lodhi accused it of sponsoring terrorism in various parts of her country. Exercising her right to reply after external affairs minister Sushma Swaraj on Saturday hit out at Pakistan for creating terror groups like LeT, JeM, Hizbul Mujahideen and the Haqqani Network, Lodhi alleged that "in her vitriol she (Swaraj) deliberately ignored the core issue" of Kashmir. Swaraj in her remarks did not mention Kashmir. 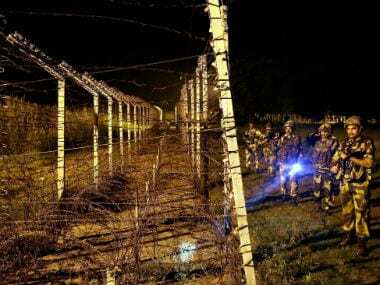 "If the international community wishes to avoid a dangerous escalation between India and Pakistan, it must call on India to halt its provocations and aggressive actions. It must end the ceasefire violations along the Line of Control. It must halt its sponsorship of terrorist groups against Pakistan," Lodhi said. 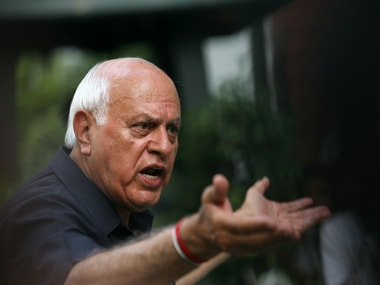 Given that such responses are normally given by a low level foreign service official, it was quite significant that the top Pakistani diplomat took up the floor to launch a verbal dual against India. India did not immediately exercise its right to response to Lodhi's remarks, in which Pakistan for the second time accused the national security advisor Ajit K Doval of interfering in Balochistan. Lodhi said if the parties fail to resolve a dispute, the UN and the international community has not only the right but the obligation to intervene and help to resolve the dispute. "UN Security Council resolutions do not lapse with time. Or are'overtaken', as the Indian foreign minister put it. Law has no expiry date. Morality has no sell-by date. India's posture is that of the predator. It cannot escape its legal and moral obligation to abide by the resolutions of the Security Council," she said. Referring to Swaraj's remarks on terrorism and her push for a definition, Lodhi said the UN should actually define terrorism. "India has sponsored and perpetrated terrorism and aggression against all its neighbours; creating terror groups; destabilising and blockading neighbours to do its strategic bidding and sponsoring subversion, sabotage and terrorism in various parts of Pakistan. All this establishes that India is the mother of terrorism in South Asia," she alleged. She said the 'largest democracy' is also "the world's largest hypocrisy" and it's ruled by the "fascist" ideology. Lodhi alleged that Swaraj in her speech criticised Pakistan's founding father MA Jinnah. She also said Pakistan remains open to resuming a comprehensive dialogue with India to address all outstanding issues, especially Jammu and Kashmir and discuss measures to maintain peace and security. "But this dialogue must be accompanied by an end to India's campaign of subversion and state sponsored terrorism in Pakistan," she demanded. In her speech, Swaraj had said prime minister Narendra Modi has offered the hand of peace and friendship since he assumed office. "Pakistan's prime minister must answer why his nation spurned this offer," she had said. Swaraj reminded Pakistan prime minister Shahid Khaqan Abbasi that in December 2015, when she was in Islamabad, a decision was made by then prime minister Nawaz Sharif that dialogue between India and Pakistan should be renewed and named it a "Comprehensive Bilateral Dialogue". "The word 'bilateral' was used consciously to remove any confusion or doubt about the fact that the proposed talks would be between our two nations and only between our two nations, without any third-party present. And he must answer why that proposal withered, because Pakistan is responsible for the aborting that peace process," Swaraj had said.